Brittany's Book Rambles: Speak Easy, Speak Love Book Trailer, Q&A + Giveaway! Hilariously clever and utterly charming, McKelle George’s debut novel is full of intrigue and 1920s charm. 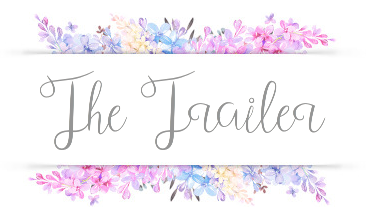 For fans of Jenny Han, Stephanie Perkins, and Anna Godbersen. What is your favorite speakeasy, and why? Wow, great question. I'm going to go with the 300 Club. Texas Guinan ("Hello suckers!") was one of the first female emcees. Upon the introduction of Prohibition, she opened a speakeasy called the 300 Club at 151 W. 54th Street in New York City (1920). Is Much Ado About Nothing your favorite Shakespeare comedy (by the way, it's definitely mine)? What are your other favorite plays of his? Would you ever want to write another retelling based on these plays? And I definitely would! I'm actually working a magical realism version of The Tempest, in fact. What other stories would you like to write a retelling for, if any? I would really love to see/write a YA version of Rebecca, and Agatha Christie's And Then There Were None. What was your biggest challenge when you were writing Speak Easy, Speak Love? Adapting the play: specifically, finding the balance between walking too close to the original and where to stray away from it. How to be original yet not lose the spirit of the play. How to adapt problematic things that don't translate to a modern reader, etc. What are your favorite and least favorite tropes to read? I am, obviously, a big fan of the hate to love trope. I also am kind of a sucker for the misunderstood villain who has one soft spot (also found in Speak Easy, Speak Love). My least favorite tropes are insta-love and the Only Complex Female Character is Great Because of Solely Male Characteristics. Also this is purely personal taste, but I'm getting a little tired of constantly and overtly gorgeous people. Can't someone have a zit just once and still save the world? Would you ever consider writing under a pseudonym? I think so! I like my name, of course, but publishing is slow and sometimes pseudonyms can help you get around contractual waiting. What are your favorite and least favorite scenes to write? What's next for you? Are you working on something new? 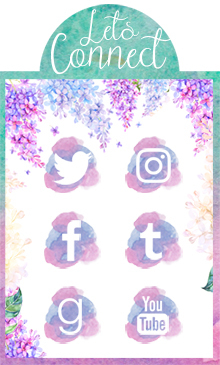 Can you share anything about it with us? FTC Disclaimer: Giveaway provided by McKelle George. Brittany's Book Rambles received no compensation for this post. US entries only. My pleasure! I hope you check out Speak Easy, Speak Love! I knew about this book, but I honestly didn't know there was a trailer, and how original it is! This is the launch of the trailer so that makes sense! I love Othello, it's probably my favorite of his dramas but of his comedies it's definitely Much Ado about Nothing. I hope you added this one to your TBR, it sounds perfect for you! I was privileged to get a sneak peek at one of George's chapters at a writing conference years ago, and thought her writing was remarkable. Thanks for the post! I look forward to getting the book! Really? That's awesome, I'm so jealous ^_^ I hope you enjoy the rest of the book! Thank you! I'm glad you know about it now, I hope you love it! I'm looking forward to this book! I am a big Shakespeare fan and even visited the incredibly beautiful vineyard/estate in Tuscany where the Branagh/Thompson Much Ado About Nothing was filmed. As am I! I was one of the few that didn't mind studying it in school AND was the focus of what I studied in college. And that's amazing about your visit to the location of where Much Ado About Nothing was filmed. Loved loved loved this book! I just finished reading it last night and it was such an amazing retelling and unique setting! The writing was absolutely gorgeous and I can't wait to own it! I actually just finished this book last week! I was expecting to like it, but I wasn't expecting to love it as much as I did. Beatrice is such a great main character. The book trailer is great - I feel like it really captures it. And I'm super excited to hear about her current project focusing on the The Tempest. Thanks for sharing, Brittany! That's great! This book sounds so cute and fun, I can't wait to read it. So glad you enjoyed it! These are such interesting questions! I really loved reading the interview. This book is on my list to check out, but I haven't gotten around to it just yet! Thank you for sharing! 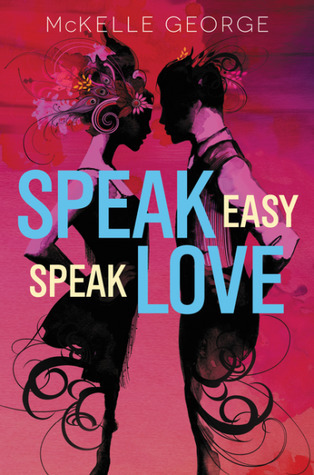 I just finished Speak Easy, Speak Love last week and loved it! The setting and the way George adapted the play were both brilliantly done. Love the book trailer, and reading the Q&A answers was also super fun! It's super cute, right? I hope you love Speak Easy, Speak Love! The last sentence of the synopsis confirms that I will love reading this book! The cover is fabulous and I adore the idea of this novel. Reading this will be part of my debut author challenge. That's great, I hope Speak Easy, Speak Love meets all of your expectations! I liked the idea of this, but wasn't sure if I was going to read it, but now I'm pretty sure it sounds like one I need to get soon. Thanks for the giveaway as well!